 The Advanced Placement (AP) courses at Grand Island Senior High provide a rigorous college-level experience with the support of qualified teachers for future success at any college. Research consistently shows that success in AP courses and exams is a reliable prediction for college success. Grand Island Senior High offers an array of classes for all students. Core Courses: English, math, science and social studies are intended to meet the Grand Island School Board graduation requirements, college entrance requirements, NCAA and NAIA eligibility standards. Honors: These differentiated courses are aimed for students who want more rigorous learning experiences than are provided in the core courses. CCC: Dual Credit courses are offered simultaneously for high school credit and college credit through Central Community College (CCC). If a student wants to earn CCC credit, tuition is required for these classes. Students are also required to meet college admission requirements at CCC by taking the ACT, ASSET, or COMPASS test. Check with your guidance counselor for current entrance test scores. Transferability of dual credit courses is up to the receiving institution (college, university, or technical program). Advanced Placement: AP classes are the highest rigor classes offered at GISH. Beginning in the tenth grade, students can select AP courses to meet GISH graduation requirements and college admission requirements. GISH teachers attend AP institutes and workshops regularly to ensure their syllabus, equipment, materials and resources pass the College Board annual course audit. GISH has received permission to use AP designation on student transcripts to verify completion of AP subjects. Highly selective colleges recognize and seek students who complete AP approved classes with above average grades. Students enrolled in AP courses at GISH will complete an AP exam for each class. There is a fee for each AP exam, however fees for students successfully completing a GISH AP course will be paid by Grand Island Public Schools. Successful scores on AP exams offer students the opportunity to earn college credit. More than ninety percent of the nation's colleges and universities* have a policy granting incoming students credit and/or placement for qualifying AP exam scores. Students from GISH have enrolled in college with almost an entire year of college credit through the AP exam program. This can mean substantial savings for families on courses otherwise needed to be taken in college. * Since college credit and placement policies for AP courses vary it is essential for students to investigate university and college guidelines via their websites. can be confident the active participation in rigorous learning requirements of an AP course simulates college level academic expectations and is effective preparation for the AP exam. The GISH AP Program is approved by the College Board. The College Board's AP Program, a cooperative educational endeavor between secondary schools nd colleges and universities, is the largest and most recognized credit-by-exam program in the world. After a semester- or year-long GISH AP course, students take the AP exam. The exams are sent to and scored by the College Board's highly trained groups of college and high school instructors from all over the world. Scores are available in mid-July. GISH graduates who successfully complete AP courses frequently share how superbly prepared they were for the academic rigors of college. AP courses meet as regularly scheduled classes and simulate college-level academic expectations. Superior past academic performance, commitment to excellence and a solid work ethic are all parts of the requirement for participation in the GISH AP Program. One direct benefit for students is having AP courses listed on their transcripts indicates to colleges, employers and scholarship committees the student is committed to academic challenge and is willing to be measured by the highest standards available. Class rank will be determined by using a class ranking point system. AP courses are assigned extra weight towards GPA. An 'A' in an AP course counts as 5.0 on a 4.0 scale. Students planning to graduate with high honors need to enroll in AP courses. More on class rank here. AP exams are administered the first two weeks of May. Information about the AP exam schedule set by the College Board is available online. GISH usually administers AP exams at the Kneale Administration Building to avoid noise and distractions. Morning exams start at 8 a.m. and afternoon exams start at 12 p.m. Most exams have a multiple-choice section and a free response section. The length of each exam varies; most are approximately three hours with a 10-minute break during the exam. It is possible a student who is enrolled in numerous AP courses may have two exams on the same day. If two exams are scheduled in the same time slot, the College Board will provide an alternate exam without additional charge. During the second semester, students complete AP exam registration for every AP course in which they are enrolled. Students should review the AP exam schedules and report any conflicts immediately. Family vacations, appointments, field trips, school activities or athletic events are not normally excused under AP exam policy guidelines. Emergency situations will be considered on an individual basis. If students miss a scheduled exam the makeup exam is different than the regular exam and there is an additional charge. Students will be responsible for additional fees for makeup exams. A goal of instruction in GISH AP courses is to prepare students for successful completion of the AP exam. However, it is highly recommended students work and communicate closely with their instructor about all exam readiness issues. There are several AP specific books and study guides available for purchase online. Contact the AP coordinator or AP teachers at GISH for more information on preparing for exams. On the exam day students should be rested and well fed. Exam administrators will advise students about materials needed. Typically students need to bring only two #2 pencils and two black or blue pens. Students may not bring dictionaries, notes, textbooks or other instructional materials. Calculators are allowed in the math, physics, chemistry and statistics exams. The AP Program offers several AP Scholar Awards to recognize high school students who have demonstrated college-level achievement through AP courses and exams. Although there is no monetary award, in addition to receiving an award certificate, this achievement is acknowledged on any AP Grade Report that is sent to colleges the following fall. AP Scholar: granted to students who receive grades of 3 or higher on three or more AP exams. AP Scholar with Honor: granted to students who receive an average grade of at least 3.25 on all AP exams taken and grades of 3 or higher on four or more of these exams. AP Scholar with Distinction: granted to students who receive an average grade of at least 3.5 on all AP exams taken and grades of 3 or higher on five or more of these exams. AP State Scholar: granted to the one male and one female student in each U.S. state and the District of Columbia with grades of 3 or higher on the greatest number of AP exams and then the highest average grade (at least 3.5) on all AP exams taken. National AP Scholar: granted to students in the United States who receive an average grade of at least 4 on all AP exams taken, and grades of 4 or higher on eight or more of these exams. There are two steps to calculating the awards; First, the student's average AP grade is determined based on all exams taken this year and in previous years. Second, the student's exam grades are checked to see which ones count toward the various awards (e.g., an exam with a grade of 3 does not count toward a National AP Scholar Award). A student must meet all criteria to be eligible; e.g., a student who has a 3.25 AP grade average but only received a 3 or higher on three exams will not receive the AP Scholar with Honor Award because the minimum requirement is four or more exams.